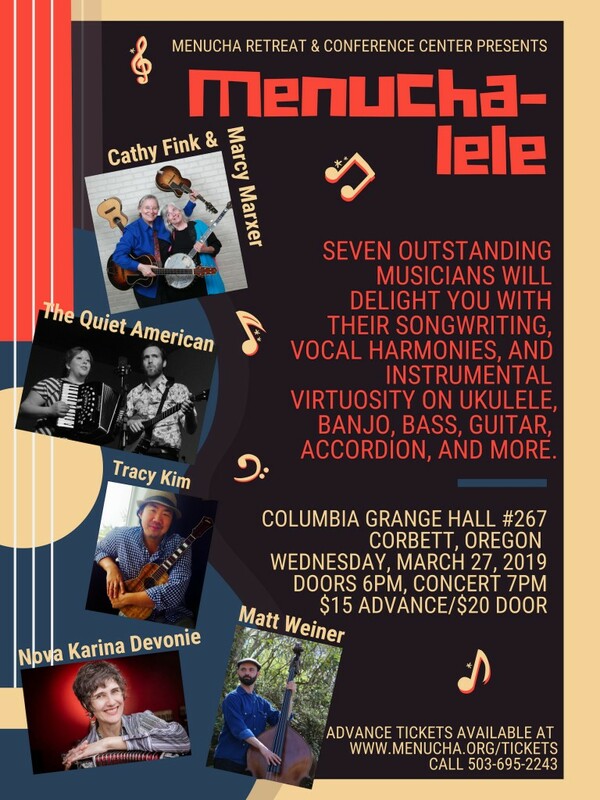 Seven outstanding musicians from across the country, all instructors at Menucha's Ukulele Band Camp, will delight you with their songwriting, vocal harmonies, and instrumental virtuosity on ukulele, banjo, bass, guitar, accordion, and more. It's an eclectic music festival all in one evening. From gypsy jazz to folk, from swing to bluegrass, this concert has something for everyone. It's the biggest little show in town! Family friendly! Bring your friends and have a good time! Doors open 6 pm. Concert 7 pm.